3.5/5Even if the art and the premise of this series sounds amazing, I didn't particularly like this first volume. It starts slow and doesn't build up until the last few pages of the last chapter. This is a necessary evil, though. If it wasn't like that, you wouldn't understand the rest of the series.The volume is still good, though. It's just that, compared to the others, this one lacks the most. 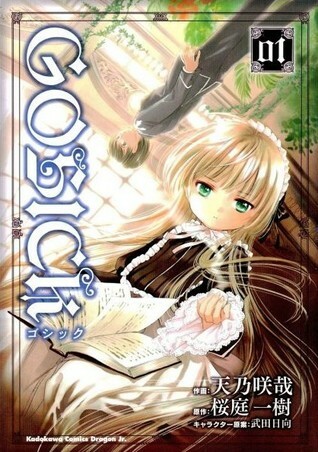 My experience with Gosick started with the anime. It quickly became an indulgence as it sucked me in with its unbelievably fascinating plot line. I am a huge sucker for mystery and fantasy and there is plenty of both in this amazing series. The manga came after the anime and it is just as amazing.The first volume sticks true to the anime in its introduction of the characters. You can see immediately that this is essentially a mystery genre series. The suspense is captivating and keeps you guessing until the end. The duo have a very fun chemistry between them that make them an utter delight for the imagination. I really love this series very much. Manga enthusiasts and fans of the mystery genre should definitely give this one a try.